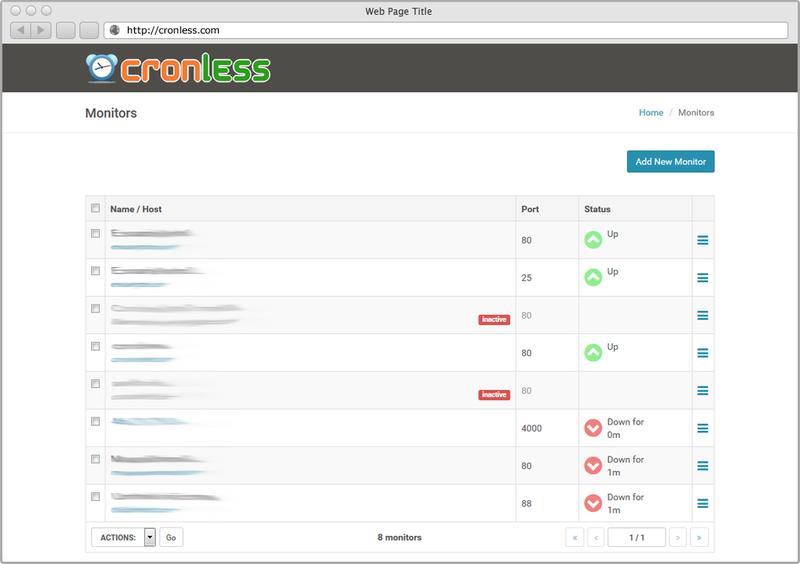 Cronless has an easy-to-use dashboard, with convenient controls and simple icons. 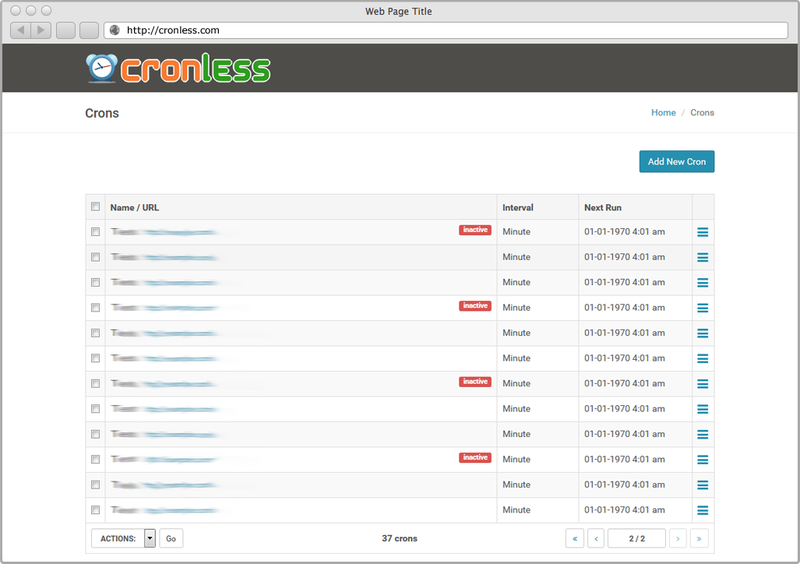 Viewing logs and suspending cron jobs is just one click away. There's no easier way to setup a cron job. No cron syntax, no guessing on job frequency. Easy calendar controls. Sleep securely at night knowing that Cronless is tirelessly watching your digital real estate 24/7/365. Enter the domain name or IP address and the port number of the service you wish to monitor and we will do the rest. Detailed log of cron job and monitor execution failures. Notifications upon success, failure or both on multiple emails. Customizable date and time formats and timezone. Straight forward and affordable pricing plans. No setup process or fees, and a simple sign up process. Access Cronless from your desktop, smart phone and tablet.